Antioch has an ongoing commitment to the creation and performance of new choral works. To that end, we offer masterclasses, residencies, and concerts that feature the works of new composers. We recently completed a residency at Harvard University where we worked with emerging composers of choral music. 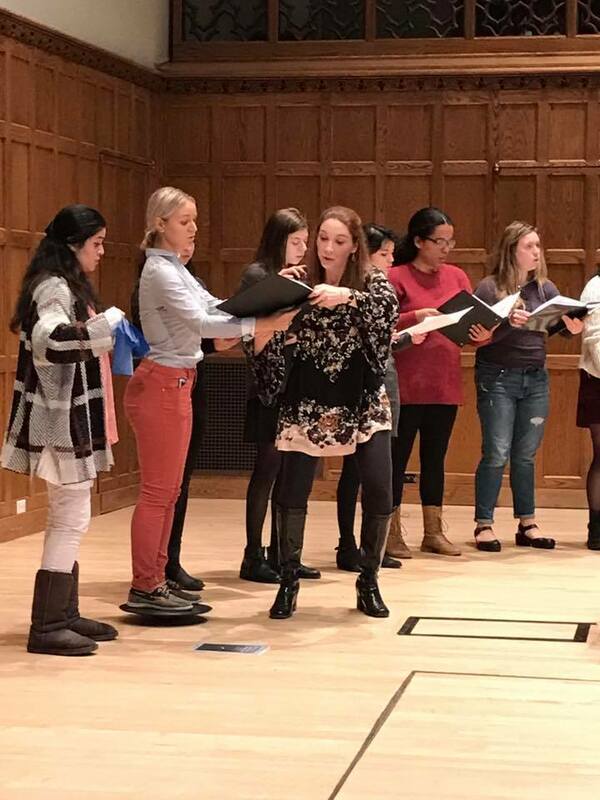 Recently we performed and provided master classes for all the choral groups at Vassar College and Washington and Lee University. If you are interested in learning more about what we could offer your college or university, please email our Executive Director, Stephen Sands through our Contact Us page. In the meantime, see below what Harvard and Vassar students and faculty have to say about our work! Andrew Gregory Clark, Director of Choral Activities and Senior Lecturer on Music Harvard University: “The Antioch Ensemble provided a transformational artistic and pedagogical experience for our students. Their thoughtful mentoring through constructive and supportive feedback empowered our students to create new works beyond what they had imagined. Sean Rodan, Harvard class of 2017: “[The Harvard New Music Initiative] has definitely been the highlight of my experience as an undergraduate composer at Harvard. …it was a privilege to have my work read, workshopped, and performed by an amazing professional group such as the Antioch Chamber Ensemble, who treated the work with such sensitivity and care.”.